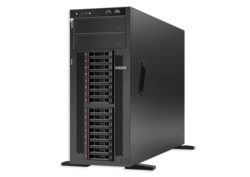 Authorized Retail Dealer of a wide range of products which include lenovo td350 server, lenovo rd450 server, lenovo ts460, lenovo rs160 1u server, lenovo st550 two socket tower and lenovo sr550. 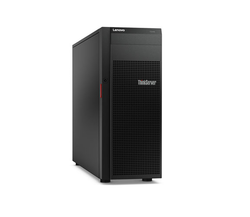 We offer Lenovo TD350 to our valuable clients. 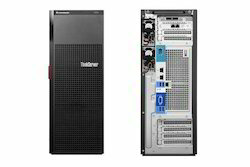 It is TD350 Mid- EndIntel Xeon E5 (Octa Core) 2609v41.7GHz20 MB1866 MHz1x 8GB1x1TBEasySwapSATA7200 RPM3.5in Easy Swap SATAMULTI BURNER IntegratedRAID0,1,10(RAI D 110i)3 yearsOnsite. RD 450 Intel Xeon E5 (Hexa Core) 2620v32.4GHz15 MB1600/1866 MHz1 X 16GBOPEN BAY2.5" Hot swap SAS/ SATAMultiBurnerRAID 0,1,5 thru720ix with 1GB non-backed cache3yearsOnsite. We are offering Lenovo RS160 to our client. 3.5" SATA Non HS Bays. RAID 0,1 built in (RAID 121i). We are offering Lenovo ST550 to our client. We are offering Lenovo SR550 to our client. We offer Think System SR650. 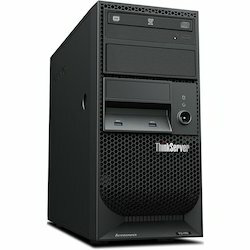 Looking for Lenovo Thinkserver ?